Head of Master of Orthodontics and Dentofacial Orthopedics of Athenea Dental Institute. Member of: Spanish Orthodontic Society (SEDO), World Federation of Orthodontists (WFO), American Association of Orthodontists (AAO), European Orthodontic Society (EOS), European Society of Lingual Orthodontics (ESLO), Iberoamerican Association of Orthodontists (AIO). Diplomate member of Iberoamerican Board of Orthodontists. Member of honor of the Ukrainian Society of Lingual Orthodontics (USLO), the Bulgarian Society of Lingual Orthodontics, the Brazilian Society of Lingual Orthodontics (ABOL). Chairman of various international Congresses. Author of more than 170 scientific articles and 17 books in Orthodontics. Saint Apolonia Medal, granted by Col·legi d’Odontòlegs i Estomatòlegs de Catalunya (Catalonian Dental Society), 2014. Active member of the Sociedad Española de Ortodoncia (SEDO). Member of the World Federation of Orthodontics (WFO). International member of the American Association of Orthodontics (AAO). Member of the Asociación Iberoamericana de Ortodoncistas (AIO). Member of the European Orthodontic Society (EOS). Founding member of the Lingual Study Group in USA. Member of the Director Board of the American Lingual Orthodontics Association (ALOA). Diplomate Member of the European Society of Lingual Orthodontics (ESLO). Member of the Société Française d’Orthodontie Linguale (SFOL). Member of the Associazione Italiana Ortodonzia Linguale (AIOL). Member of the Sociedad Española de Disfunción Craneomandibular (SEDC). Member of the Sociedad Española de Odontopediatría (SEOP). Member of the International Committee of the JLOA (Japanese Lingual Orthodontics Association) meeting, Tokyo, Japan, 2005. Founding member of WSLO (World Society of Lingual Orthodontics). Member of honor of the Ukrainian Society of Lingual Orthodontics (USLO). Member of honor of the Bulgarian Society of Lingual Orthodontics. Member of honor of the Brazilian Society of Lingual Orthodontics (ABOL). President of the SIAOL (Sociedad Iberoamericana de Ortodoncia Lingual) (2001-2013). Chairman of the 3rd International Congress of the World Society of Lingual Orthodontics (WSLO) (2007-2009). 6th President of the ESLO (European Society of Lingual Orthodontics) (2002-2004). Vice President of the Scientific Committee of AIO (Iberoamerican Association of Orthodontists) (2004-2010). AIO Delegate at the WFO (World Federation of Orthodontics) from (2004-2010). 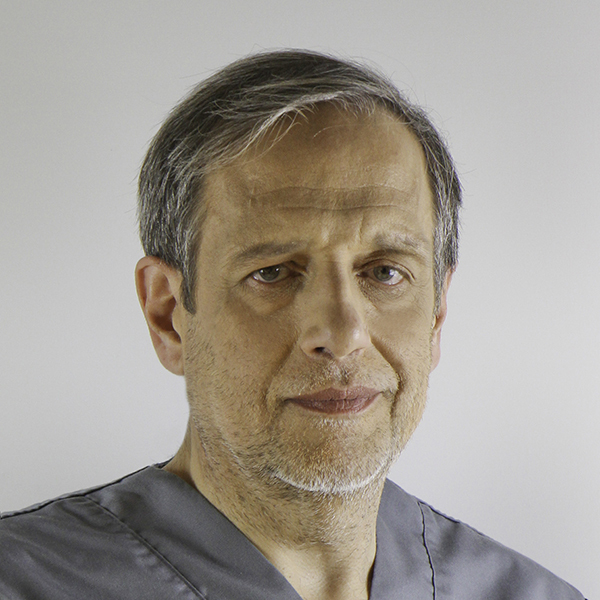 Member of the Editorial Committee of Orthodontics – The art and practice of dentofacial enhancement Journal (2010). Member of ESLO Board of Directors (European Society of Lingual orthodontics) from 2012. Member of Organizing Committee of 11th ESLO Congress (2014), Italy. President of the Scientific Committee of 11th ESLO Congress (2014), Italy. Editor-in-Chief of Tribuna Books Ripano Lingual Orthodontic Journal (2013-2015). Course director and lecturer at post-graduate courses in Orthodontics, in LADENT, S.L. from 1991. Lecturer at courses and conferences in Germany, Argentina, Australia, Austria, Belgium, Bolivia, Brazil, Bulgaria, Canada, Chile, China, Colombia, South Korea, Costa Rica, Ecuador, Spain, USA, France, Guatemala, India, Italy, Japan, Kuwait, Mexico, Monaco, Panama, Peru, Poland, Portugal, Great Britain, Dominican Republic, Romania, Taiwan, Uruguay, Venezuela. Author of CSW, CLO and SARDAC Techniques. Echarri omega forming pliers (registered patent). Inclination and torque accessory design for Slot Machine. Bracket holder for lingual brackets with horizontal slot for Slot Machine. Microimplant Treatment Planning Software “Microimplant EVO”. Editor, author and co-author and collaborator in 33 books on different topics in orthodontics. Author and co-author of more than 160 articles published in orthodontic journals in Spain, USA, Germany, Canada, Lebanon, Mexico, Peru, Portugal, Poland, France, Korea, Japan, Thailand, India, Chile, Uruguay, Venezuela, Ecuador and Argentina. Saint Apolonia Medal, granted by COEC (2014).